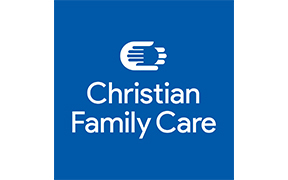 Christian Family Care serves Arizona children and families through adoption, foster care, counseling and prevention programs. Our mission is to strengthen families and see every child loved and nurtured in a Christ-centered family. Kelley and John Sr. have been foster parents in Tucson for more than a decade and each foster child has a special place in their heart. But not every placement has been easy. When 12-year old John entered their home in 2011, he came to them with a lot of anger and resentment. The difficult behaviors started immediately. He was defiant, disruptive, he would curse at the teachers and walk out of the classroom out of frustration. Still, Kelley and John Sr. could see through the anger and knew his heart just needed healing and nurturing. John experienced a lot of firsts with his new family: his first birthday cake, first Christmas gifts, and his first party. When John graduated high school, he turned 18-years old and shipped off to basic training all in the same month, so they threw him his very first party to celebrate. John finally felt like he was a member of a family. He knew that his foster family would always be there for him and love him unconditionally. That’s why when John returned home to Tucson from the military on leave, he sat his family down and asked them if he could legally change his last name to theirs. God used this family to help John become the loving and hard-working young man that he is today. A young man who is determined to spend his life serving others. The best part is that he’ll always have a family to come home to.